As summer reaches it’s peak, now is the time to start thinking about fixing up the fall garden. If you plan ahead, you can be prepared with one of these top annual fall flowers, and brighten up your garden space. There is still a lot of growing season left after the kids go back to school, so don’t neglect what can be the nicest time of year to be outdoors! Keep in mind, if you want your fall annuals to bloom and fill in before the season is over, late summer is the time to get them in the ground. 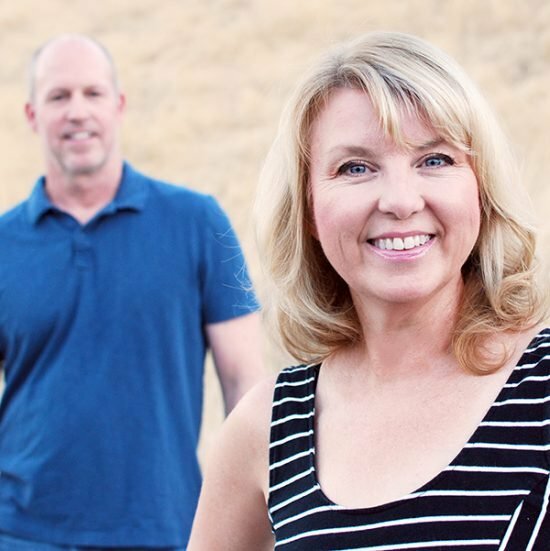 So let’s take a look at fall flowers, and fix that garden! Our first couple of easy fall annuals are seeded, so you definitely need to think ahead. However, because they are from seed, it couldn’t be easier! Just make sure they are getting regular water, as you will be planting them in the heat of the summer so they will be ready for fall bloom. Plan to scatter these seeds 4-6 weeks before you want flowers… my bet would be late July into the middle of August. 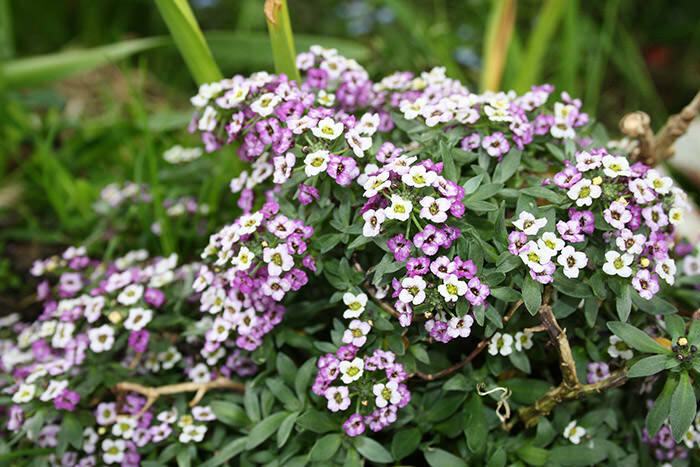 Alyssum – Alyssum is one of the easiest flowers to grow, by seed or otherwise. Once you plant it, you will always have it in the garden, because it self seeds prolifically. 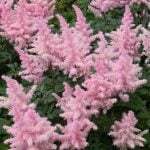 A low growing plant, it flowers white, pink or purple from spring through fall. If you planted this in the spring, it has likely gotten rangy and stopped blooming. You can try cutting it back by half and giving it a dose of liquid fertilizer. However, the seed is so cheap and easy, I would just plant fresh ones for fall flowers. 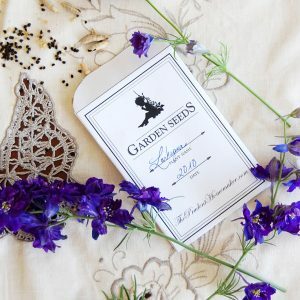 Simply sprinkle the seed along walkways and borders and water in… You should see plants in a few days, and flowers in less than 4 weeks, with them growing larger and flowering more as the season moves on. Will flower until hard frost. 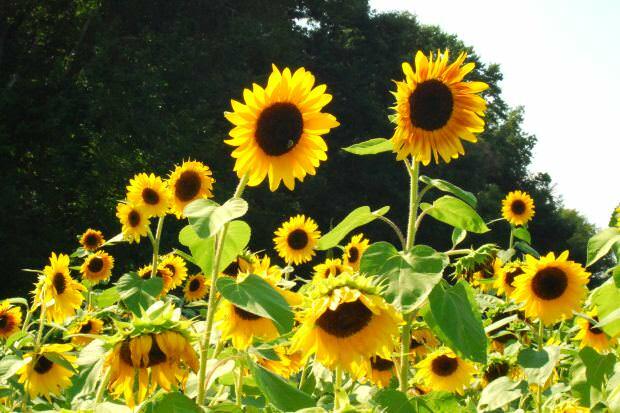 Sunflowers – Sunflowers are another simple seed plant, and they will bloom well into fall. Plant the seed just under the soil and water, 6 weeks before the start of fall, then plant more every 2 weeks until late August. Remember, the flower head will face the sun, so don’t plant them where the flower head will always face away from where you view them. 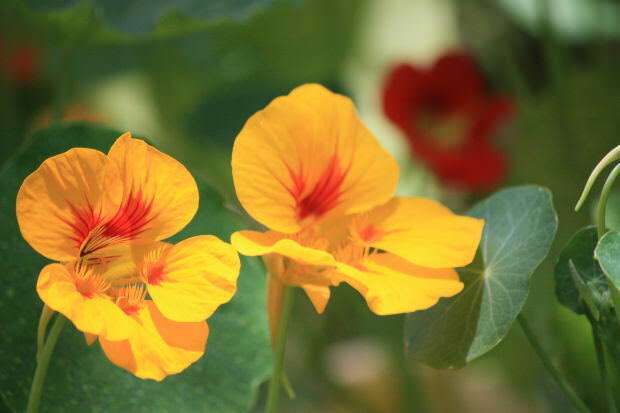 Nasturtiums – Nasturtiums are a good choice for areas that have cool falls… I like to soak the seeds in water overnight, then plant 1/4 inch below the soil. Plant out 6 weeks before fall bloom. Will bloom until frost. Try not to water late at night, because they can be prone to powdery mildew when the weather cools. 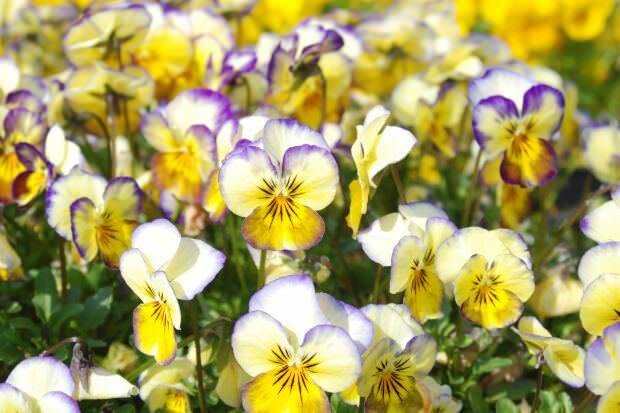 They can grow as a short vine or trailer, or they have more compact varieties for bedding. Be sure to read the seed packet. Morning Glory and Moonflower – Both these are vines, and their names say it all. 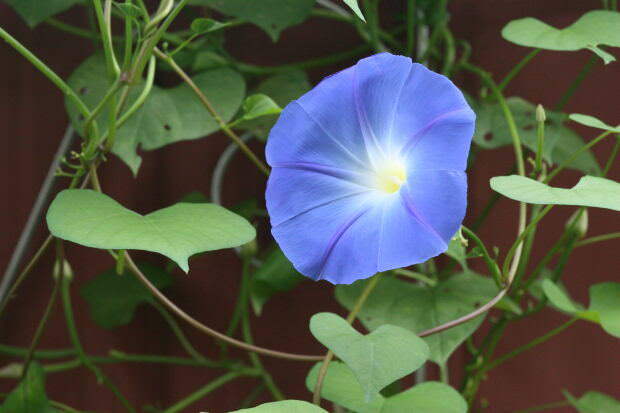 Morning glories love cooler weather and bloom in the early part of the day, so nick the seed and soak them overnight in water, then plant 1/2 under the soil 6 weeks before bloom is wanted. Moonflowers bloom at the end of the day with gorgeous white flowers. 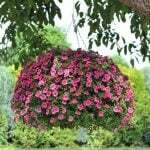 These are great to carry over a rose arbor or other summer blooming vine. They are annuals, so they won’t hurt the existing vine, and they will die back after frost. Keep in mind, both these fall garden plants are poisonous if eaten. The next fall annuals do not grow well from seed, so they need to be nursery bought. That does mean you are at the mercy of the nursery. But most nurseries order their plants early, so your plants can get established in the garden before bloom. Do remember to mulch and water well if you are still having a lot of summer heat. I plant my fall annual starts 4 weeks before I want bloom. 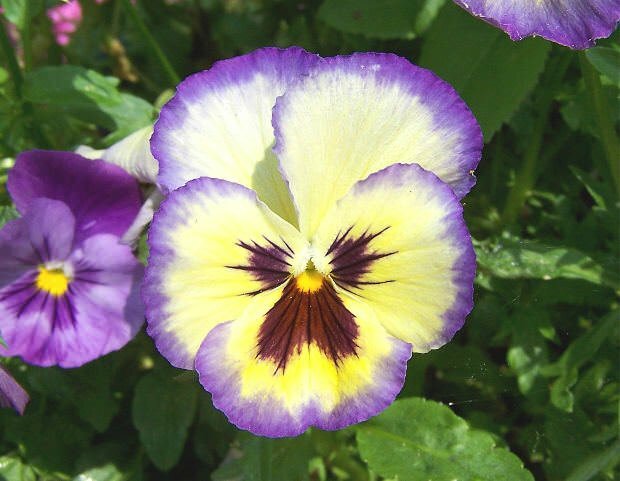 Pansies and Violas – These are old fashioned favs, and many self seed to ensure you have these happy blooms next spring and fall as well! 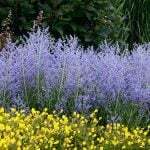 In many different colors, they don’t spread too far in the fall, so plant them close. Give them liquid fertilizer every two weeks, and water them well, especially when hot out. Many will bloom through frost and up until the holidays! Containers or garden beds. Love! 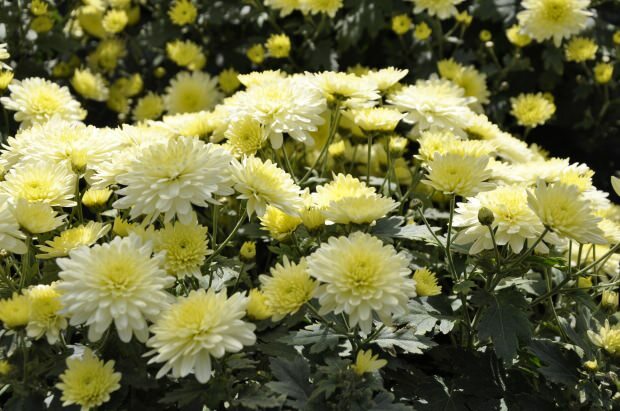 Mums – Mums are the standby, and although they are technically perennials, in many areas they are grown as annuals, and priced as such. Plant from quart or gallon pots for an immediate show, but even the 4 inch pots will bloom well. Plant them 4 weeks before bloom, and cut back the flowers that are on the plant when you bought them. I know this is painful, but it will ensure new and healthy blooms when fall arrives in all it’s glory! Liquid fertilizer every two weeks will give you a great show. 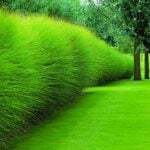 I like to choose one color for the whole garden to give it a fresh look. Using just one color unites the garden with a larger plant like this, some can grow to over two feet wide and high. Love sun! 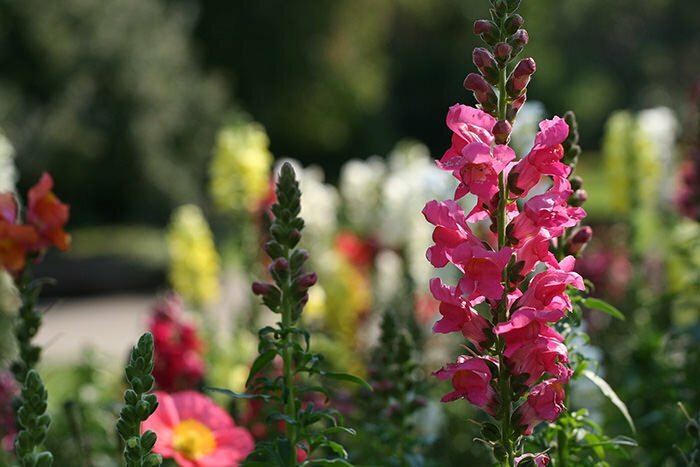 Snapdragons – Snapdragons are another cool weather plant, so if you plant them in late summer to encourage fall bloom, treat them just like mums, with one exception. 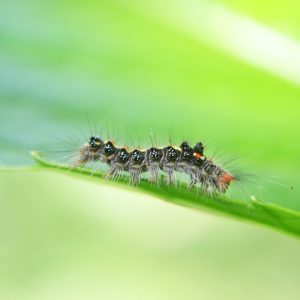 If you can protect them from afternoon sun in a warm climate, you will have more success. Ornamental Greens – Add color to the fall garden with something more than flowers… Ornamental greens love the cooler weather of fall, plant from seed 6 weeks before, or from starts 4 weeks before fall bloom. Chard, lettuce and greens, and Kale are all great choices. You can even harvest them for fall meals! 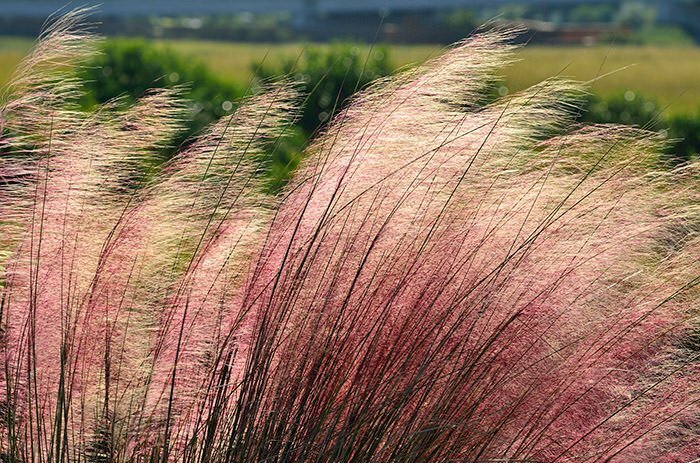 Ornamental Grasses – Grasses tend to go on clearance this time of year, and many of them are perennials but at these prices, can be treated as annuals. You won’t get a lot of growth from them this late in the year, but they can add texture to a garden that has some gaps from summer annuals pooping out. Easy, right? 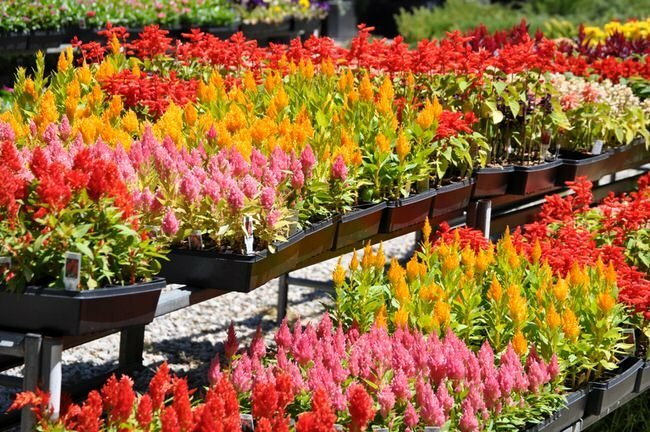 Use these fall flowers and fall garden plants to spice things up this fall season. 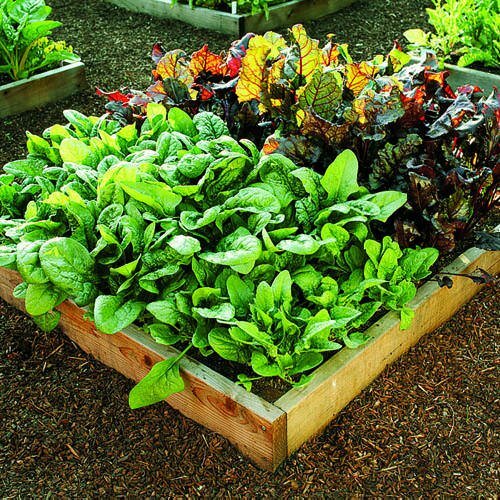 Planning ahead can ensure you fall garden is amazing, not tired! We think you will also love our post on Fall Front Door Decor! How to Plant Flower Beds That Are Fantastic!